When new, this was the least expensive Porsche available and had a ‘less is more’ philosophy behind it. Indeed, the car was intended to be taken to the track and be a legitimate club-racing contender. It seems that that’s precisely how this 356 spent a large portion of its early life. Raced around Connecticut, the car racked up trophies and actually won the E-Production Championship in 1963. Some people might consider Mr. Brian Bent's lifestyle extreme, an anachronism perhaps. But we have a feeling that he'd be OK with that. You see, when Brian purchased this 1927 Oakland he built the clutch pack himself. He also makes his own 1920s and '30s style surfboards and his own period-correct clothing. Brian applies "Drive Tastefully" to his entire life, making sure that all the pieces fit him. Steve Strope builds his cars as an extension of his personality, every nuance, detail and thought that goes into his cars is always 10 tenths. Brilliant design and execution, a gearheads hero!! Killer car. Great vid. This guy is my kinda car guy. Love it!! Steve, congrats on a beautiful work of art. Absolutely magnificent engineering. I really, really get it !!! Spectacular. If Singer built Mustangs instead of Porsches I suspect this is what they would look like. This car just replaced Eleanor as my favorite Mustang. All I say is WOW!! Haven’t stopped thinking about this car since I watched the video yesterday. I have a passion for early Mustangs and anything Porsche, so this just hits my hot button and blows me away. 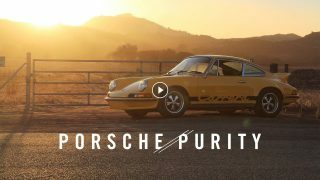 Great job Pure Vision (for the car) and Petrolicious (for the video)!! And Pertolicious? Please keep up the great work! Your website is my new favorite place to visit. clean. clean. clean. love it. That is a really nice piece. I think a better reflection of Steve’s passion and talent than seen on TV and a wonderful (art) car. 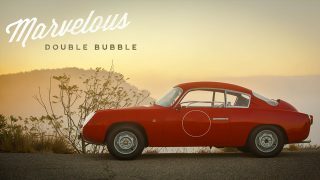 Congratulations Petrolicious and Pure Vision both. 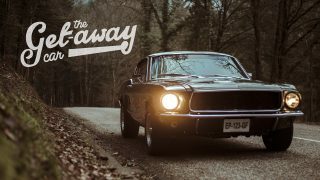 Thank you very much for making this video about this beauty of a mustang. Maybe different to your situation, here in Europe we can’t see a lot of these cars on our streets and tracks, therefore i would prefer more videos of these (your) car’s from the states. Anyway i enjoyed every single second of this video – and this perfect mustang. regards from Austria! Gorgeous Mustang, and love that it’s set up for road racing with an Indy engine. Would love to see it in person, I can tell there are little details that Steve sweat that we didn’t see. If you get a chance you will be staring for hours! There is so much that a lot of people wouldn’t notice or get to see(like underneath) and it really deserves to be seen. Thank you guys so much. Nobody else I know understands me or my love of cars. I’m constantly sourcing the internet for new facts and things I could do, but it ultimately ends in me being sad about everything I can’t do. PetroliciousCo gives me something to look forward to and it has made Tuesday my favorite day of the week. I vote that each week the road in the videos should be identified, that is almost as important as the car. I am fairly certain that was Mulholland, and not just because of his shirt. At 5:10, Bitchin!! I love this. 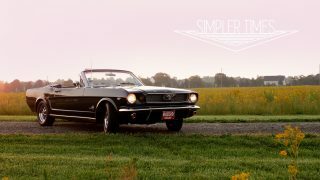 I have a 66′ Mustang and I always though it would be great for you guys to create a film around a Mustang but figured you never would because of the commonality of the car. Of course you guys found a one of a kind extremely perfect Mustang. Very well done as always. Thank you for making my Tuesdays and life amazing. Excellent car and video! Love the use of a vintage engine. 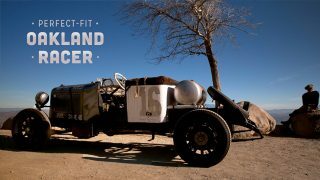 Very cool car (although all the cars Petrolicious feature in their videos are cool), and the first Amercian car video on here too! This is a cool Mustang, but the coolest part is definitely the motor! I have never been a big fan of Mustangs, but this I could see in my garage. A million parts nuance, a million parts passion – what a fantastic car. 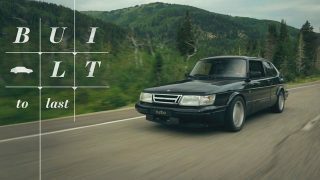 Also, I raise my glass to Petrolicious’ finest Tuesday video yet. I can’t quite put my finger on it, but there is something incredibly special about this one. 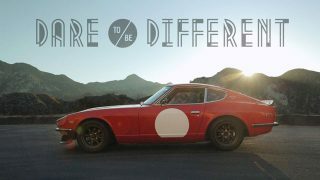 You have taken your style of videography and raised the bar, found a man who is beyond passionate -inside and out- about what he creates, and captured what may be the perfect Muscle Car. Wow. I think this is the best looking and the coolest Mustang that I’ve ever seen. Wow. WOW! just another great video! This is why i lvoe the car hobby so much and some people think its a sickness! I love the story behind the car making it seem like something Ford could have really done back in the day. I love the shelby gt350 vibe off the car as well and then you pop the hood to see a very exotic engine just sweetens the deal more! The parallels between this car and Stroud’s Can Am engined Mustang are innumerable but I like this car worlds more. His ‘loud and fast’ definition certainly has some truth but I think it sells the car short on subtlety, which it has in gobs. This car should be a necessary design study for anyone interested in customs. It has it all. Beautiful car. Nice, clean shop. Nice, clean fabrication work over, under, and in between. Very inspirational. Great attitude. I had a ’65 GT 289 Hi-Po 4 speed back in the day. Takes me back. Great sounds and low-end torque. What a great car to drive! I sure miss it. This Mustang is about a million times cooler than the endless Elanor replicas that ruins a very nice car. It is Shelby and again not. It is European but again not. I think of it as an American “Alfa Bertone coupe”. Common but no less beautiful because of it. For me the coolest Mustang ever was in the film “Un homme et une femme”: http://www.youtube.com/watch?v=VhqzAmy8pHM Love this car and the non nonsens owner. 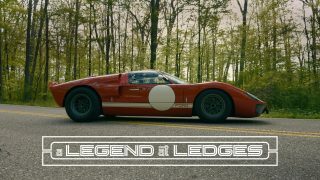 Thanks for this great video and this great car tuned with love and respect ! Surely a [b]WOW[/b]! car, great work! Awesome engine choice. Last week the “owner” ruined the video, this week the owner is just as important as the car at making the video great. Very nice. Great motor pick. Wheels, details, all very cool. But wow, sometimes I forget how ugly CA is. eek. My goodness! My favorite Mustang ever! 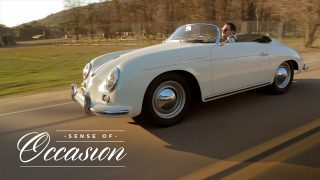 I love Tuesdays on Petrolicious! Makes me want a new car and quit my job to pursue my car passion! Thank you.